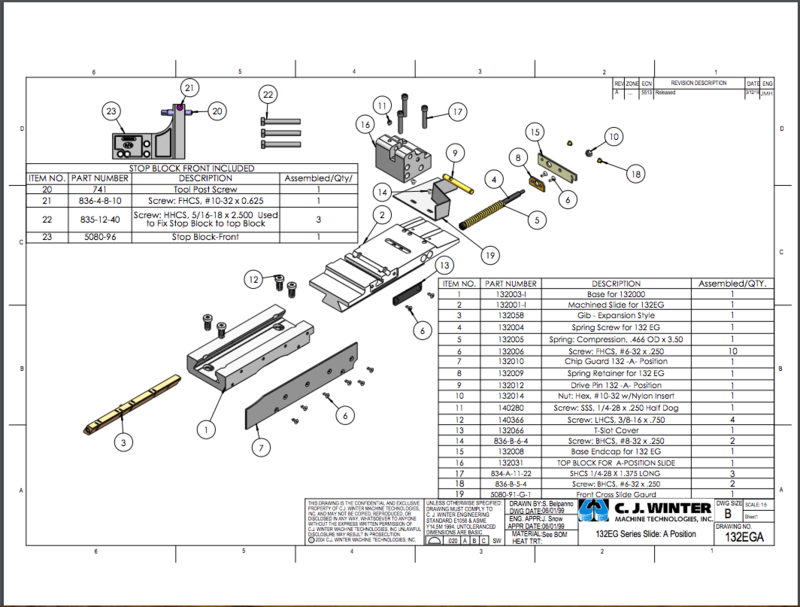 CJWinter’s 132EG series cross slides have recently been updated to include several new features to improve serviceability, longevity and quality of the slides. The top blocks are now smaller and position specific, making them more similar to the classic Davenport size for 1st and 2nd position. The cross slides are also completely removable, which makes maintaining the slides and adjacent machine components much easier. This also allows customers the option of leaving the top off completely in 2nd position, opening up room for larger tools, extra clearance for 3rd position swing-arm attachments, and easier access to the work-zone. For strength and rigidity, the slides and bases are now machined from solid billet material, not castings. 132EG series slides now come with hardened and ground dovetail ways to compliment the patented Zero-Clearance Expansion Gib design to ensure highly rigid tool delivery and long trouble-free life. Slides now come standard from the factory with a precision-ground clearance between slide and chip guard plate. When ordering slides, use assembly numbers 132EGA and 132EGB for position-specific equipment. 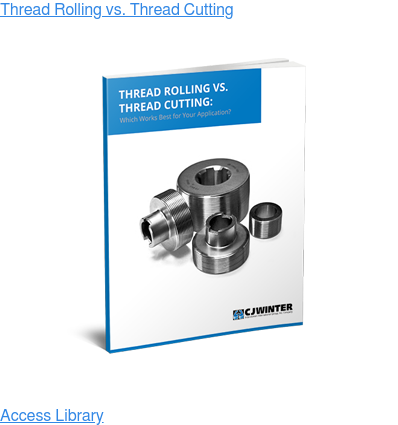 Solid Billet Material – Adds strength, rigidity, and enhances quality. Precision ground clearance between slide and chip guard plate – tight gaps, and curved leading edge of slide to help wipe chips away and keep slide clean. CJWinter and Davenport Machine OEM parts are constantly being redesigned to maximize the value to the customer. Any parts supplier can sell you yet another replacement part for your problem. Let the team at Davenport Machine supply you with a cost-effective solution to it instead. CJWinter offers a complete library of CAD drawings for the 132EGA and 132EGB cross slides and other tools. Access the free library today. 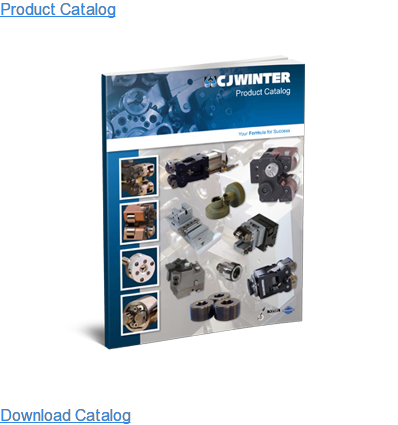 CJWinter has manufactured industry-leading thread rolling attachments and related products since 1956, while Davenport has produced state-of-the-art machines since 1894. Request a quote online or call us directly at 1-800-344-5748 and ask about our many new and improved products. Lib has been with the Brinkman International Group, Inc. for the last 29 years. Currently the Director of Global Sales, Lib has held numerous positions in Engineering, Operations, Sales and Product Management with CJWinter and its manufacturing divisions. 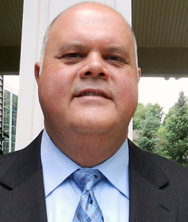 Lib is a member and has served on governing boards for the Society of Automotive Engineers, The American Society of Mechanical Engineers, and Precision Machine Products Association.